Jack Sherry has been a member of the Troy YMCA since 2012 and quickly progressed from member to instructor. 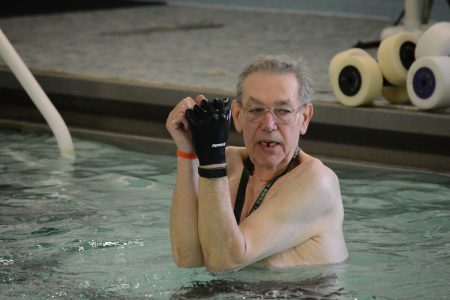 Jack currently teaches both Water Wellness and Forever Fit Cardio aqua classes at the Troy branch and has acquired quite the following. Now, 71, Jack shows no signs of slowing down. Prior to joining the YMCA, Jack struggled with weight loss, high blood pressure, and has a history of Atrial fibrillation (Afib). And in 2007, Jack was diagnosed with diabetes. So he did. He got out of the house every day and walked up and down his rural street. It was then that Jack knew he had to find another path to wellness. That’s when he came to the Troy YMCA. Jack continued to work towards his fitness goals, working hard to find a routine that worked for him. 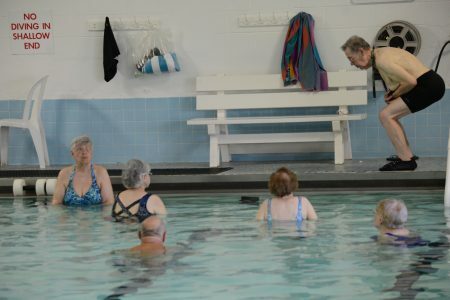 Shortly after Jack discovered his love for water wellness, he was asked to be an instructor and jumped at the chance to share his expertise. Jack quickly gained a following. He teaches his classes both in and out of the water to ensure each member understands each exercise.